As im pretty busy at the moment, I dont have the time for long articles. 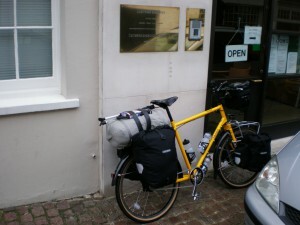 Shortly you will find a brief description of my bicycle and travelling equipement. A huge leap backwards. Refugee style. Angele on A huge leap backwards. Refugee style. georgsadmin on A huge leap backwards. Refugee style.